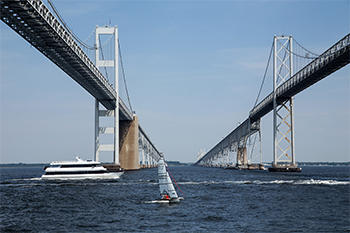 Cruise under the twin spans of the Chesapeake Bay Bridge. Recorded narration shares its history. Full bar on board.